The 13th Street (St.) Colored Branch was a segregated public library established by the city of Meridian, Mississippi, in 1912 and opened in March 1913. It was one of the first free public libraries for African Americans in the state of Mississippi and one of twelve segregated libraries Andrew Carnegie funded during his library philanthropy program of the early twentieth century. Although Meridian asked Carnegie for library funds as early as 1904, it was not until 1911 that the library program’s manager, James Bertram, offered the city $30,000 for a main, whites-only library and $8,000 for a “colored” branch. At the time, African Americans accounted for almost one full third of the city’s population. The two-story, main library was built on the corner of 7th St. and 25th Avenue (Ave.) in the city’s downtown, while the segregated library was built on the corner of 13th St. and 28th Ave. in Meridian’s northwest, then known as the “colored” part of town. The Haven Institute, a small black college located on 13th St., was instrumental in establishing the library; the African Methodist Episcopal Churches, which operated both the Haven Institute as well as one of Meridian’s oldest black churches, St. Paul’s Methodist, donated a site for the library. Although the “Colored Library” received an annual tax appropriation from the city, it was governed by the Colored Library Advisory Board, a separate board whose inaugural chairman was Dr. J. Beverly Shaw of the Haven Institute. The institution’s first librarian was Mary Rayford Collins; later librarians included Helen Strayhorn, Katherine Mathis, and Gradie Clayton, among others. 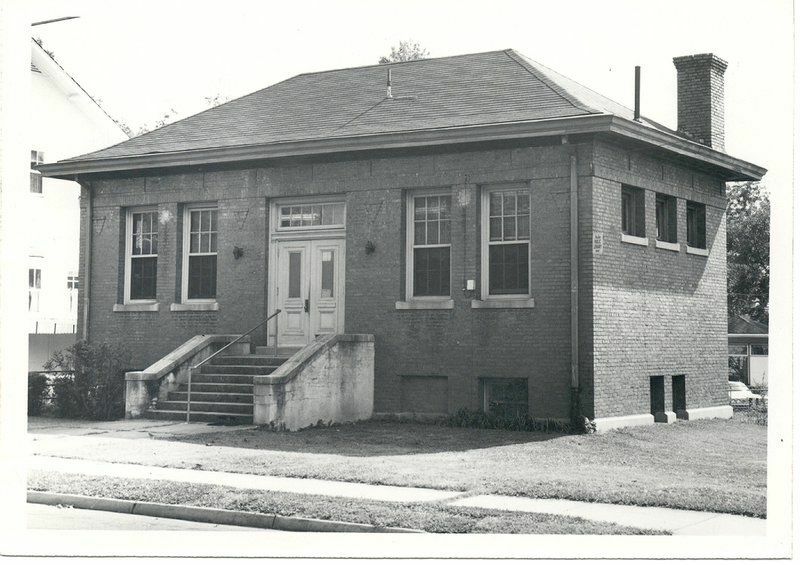 For over sixty years, the 13th St. library served Meridian’s African Americans as both an educational support center and a community meeting space. When Meridian desegregated its public libraries in 1964, the separate advisory board dissolved and the 13th St. library became a branch of the Meridian-Lauderdale Public Library. It nevertheless continued to serve the predominantly African American northwest part of town. The city closed the 13th St. Library in September 1974, claiming that it was no longer usable as a public building. The former library was listed in the National Register of Historic Places in 1979, and in 2006, the Lauderdale County Human Relations Commission announced plans to convert it into a center for arts education. It was demolished in 2008, however, after it was deemed unsuitable for preservation. Only a piece of the original front walkway remains. Jeanne Broach, The Meridian Public Libraries: An Informal History, 1913–74 (Meridian, MS: Meridian Public Library, 1974); Matthew Griffis, “A Separate Space: Remembering Meridian’s Segregated Carnegie Library, 1913–74,” Mississippi Libraries 80, no. 3 (Fall 2017); Cheryl Owens, “Study Stirs Memories of Segregated Library in Meridian,” Meridian Star, March 4, 2017, http://www.meridianstar.com/news/local_news/study-stirs-memories-of-segregated-library-in-meridian/article_45164dd2-ebd5-5705-b3b6-e0bd85a5511d.html.